Flatbush once again has a cozy little Banya of it's own and the Pigeon was lucky enough to be one of the newly renovated bath house's first customers under its new management. 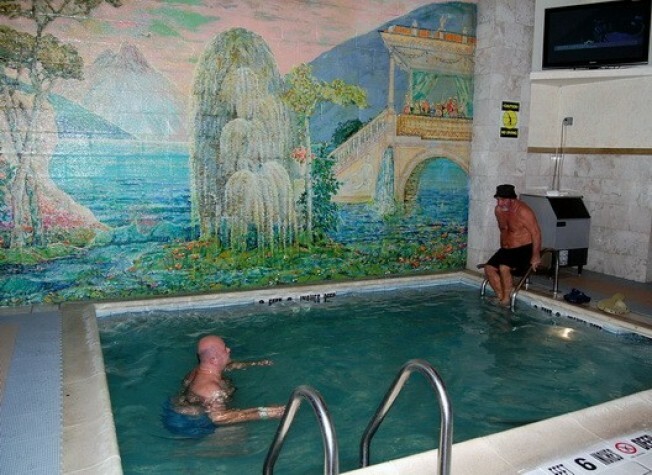 The establishment known as the "Coney Island Banya" is clean, affordable, welcoming and just what's in order for those of us barraged by the stresses of life in NYC. To top it off, the Banya also houses the excellent (and also very affordable) "Restaurant Hotspot" - which serves an array of international cuisine. One does love an "array" of cuisines to go with our banya experience.